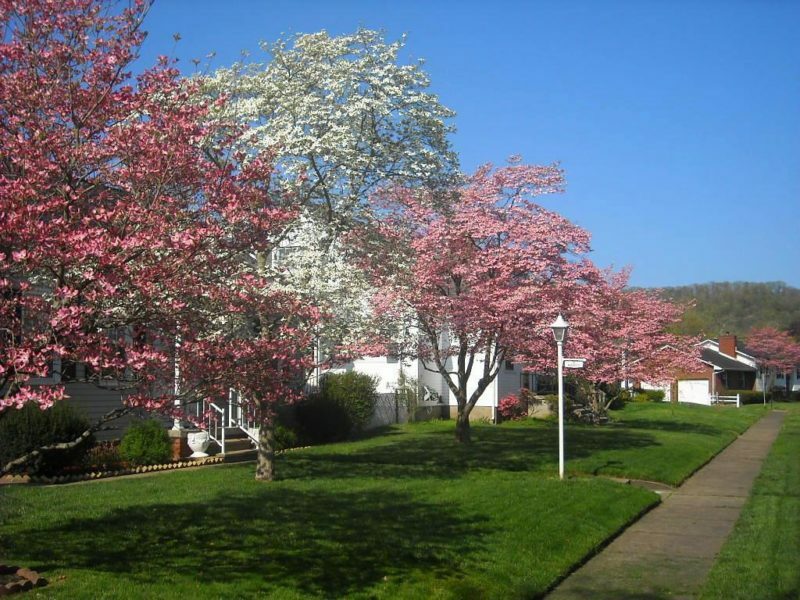 Dogwoods flower in yards at Dunbar, West Virginia. Dunbar, West Virginia (WV), a community on the Kanawha River in Kanawha County, was platted by Judge Fred P. Grosscup in 1912 and named for Dunbar Baines, a Charleston banker and lawyer. More than 11 native burial mounds were located in the community. The Dunbar Mound, at Shawnee Regional Park, near Institute, West Virginia, has been preserved. A wine cellar here, at Wine Cellar Park, is a relic of the valley’s importance in a wine producing region. The following parks and public recreation areas are located within 10 miles of the community. Dunbar is located on I-64 approximately seven miles west of Charleston, West Virginia, and seven miles east of Nitro, West Virginia. Dunbar is located in the Metro Valley Region in western West Virginia.